All donations go towards directly towards track maintenance to children's activities. At Endura we believe passionately in the therapeutic effects of the great outdoors and, in particular, cycling. We understand the thrill of hurtling down trails, the adrenaline kick from nailing a drop or a jump and the simple joy of getting outdoors. We also believe strongly in facilitating access to biking for those most challenged in our community and getting them involved in cycling not only provides exhilaration but can be a fantastic catalyst for positive change. Our forest trails include runs catering for all skill levels, a pump track and dual slalom, and provide a safe and discrete environment for groups and organisations to use free of charge who work with kids or adults with particular challenges. The trails are ideal for kids over 8 years who are reasonably confident riders but don’t necessarily have experience of riding off-road. 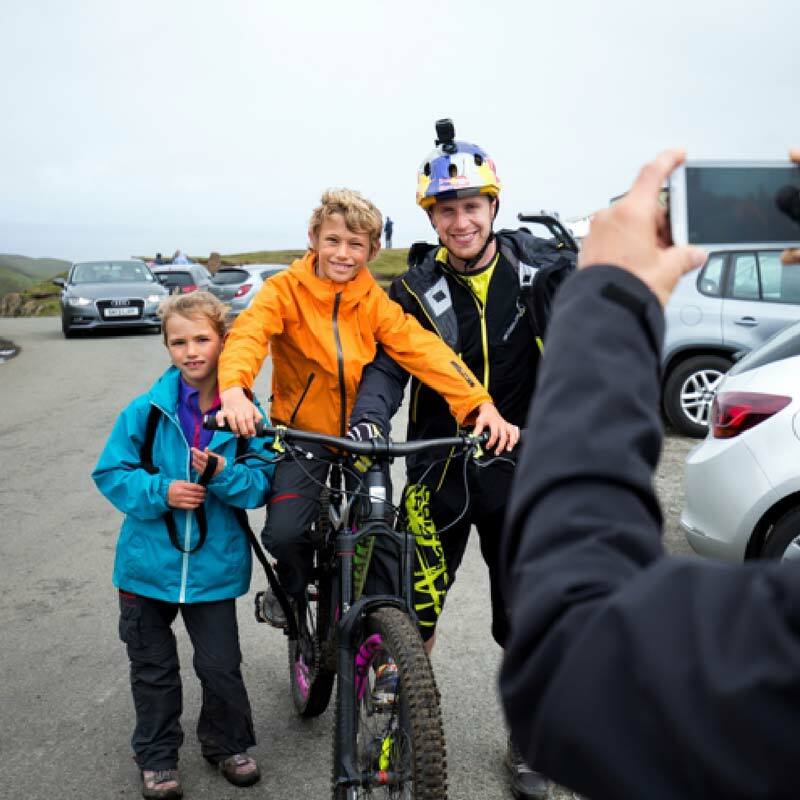 Danny Macaskill, supporter and patron of the project. Trails: 5km of trails through indigenous woodland. Predominantly blue but including red graded section, pump track and dual slalom. Trail Map. 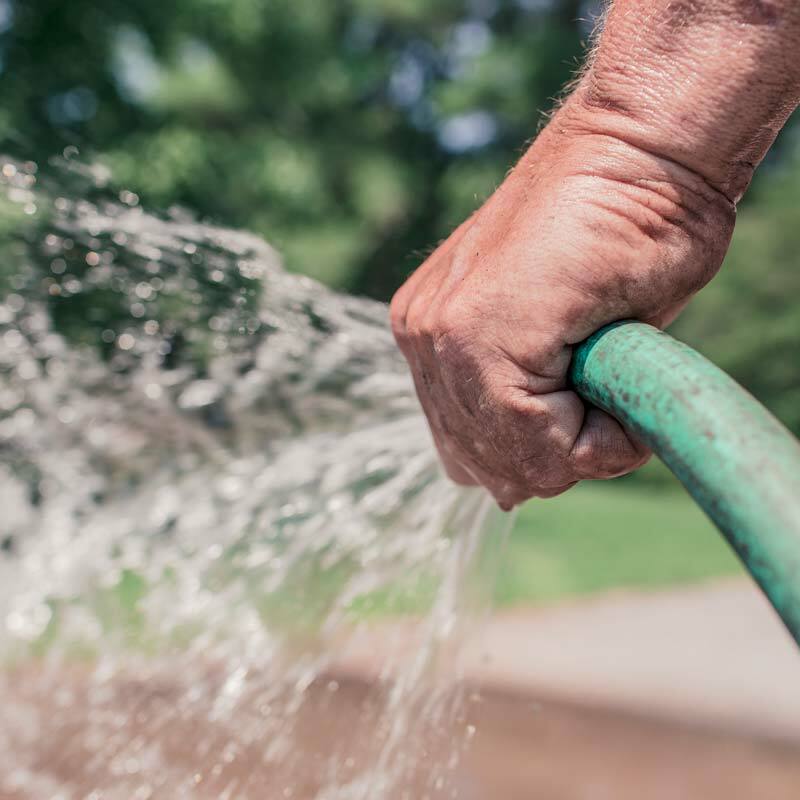 We can cater for up to 12 vehicles including accessible parking and have an environmentally friendly composting toilet for use when the venue building is not accessible. Our purpose built venue on site offers a seminar space, showers, toilets and kitchen facilities. A fantastic space to deliver training and presentations for special events by arrangement. Learning a skill can be incredibly empowering. 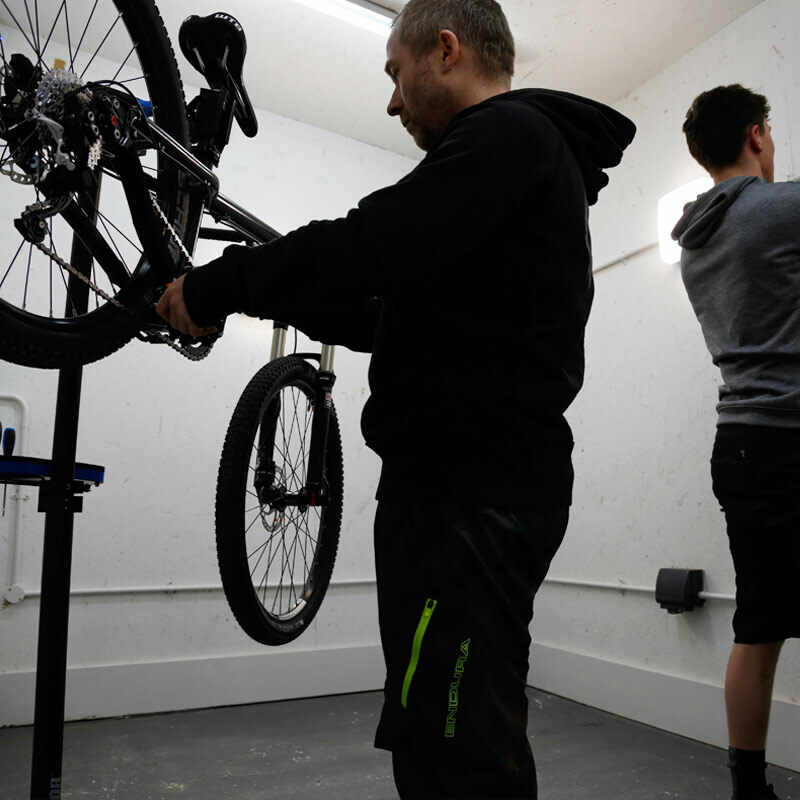 Our workshop is fully kitted out and perfect for running bike maintenance sessions. Another part of maintenance is keeping kit clean. After a session on the trail keep your equipment in best condition with our outdoor wash-down booth. 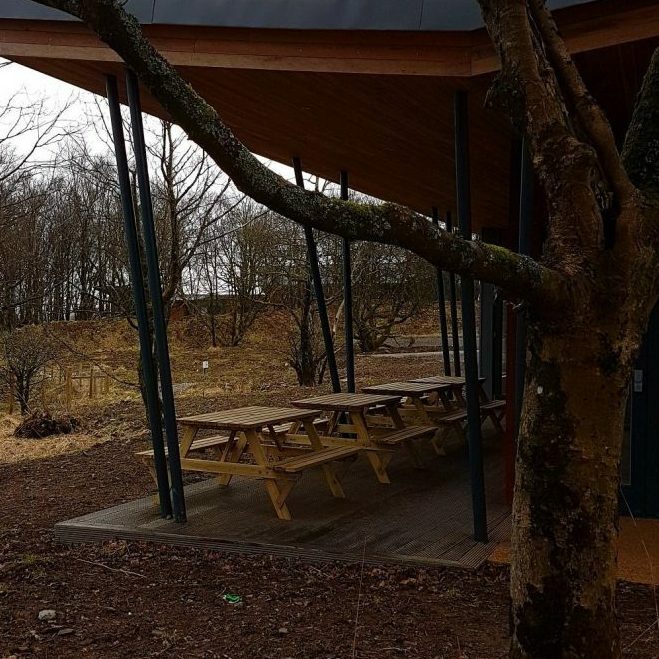 Why not use our covered picnic benches to have your snack after a ride. The view is incredible and you can be protected from the rain during a shower. We simply ask that you take your rubbish with you and recycle it when you leave. Thanks. 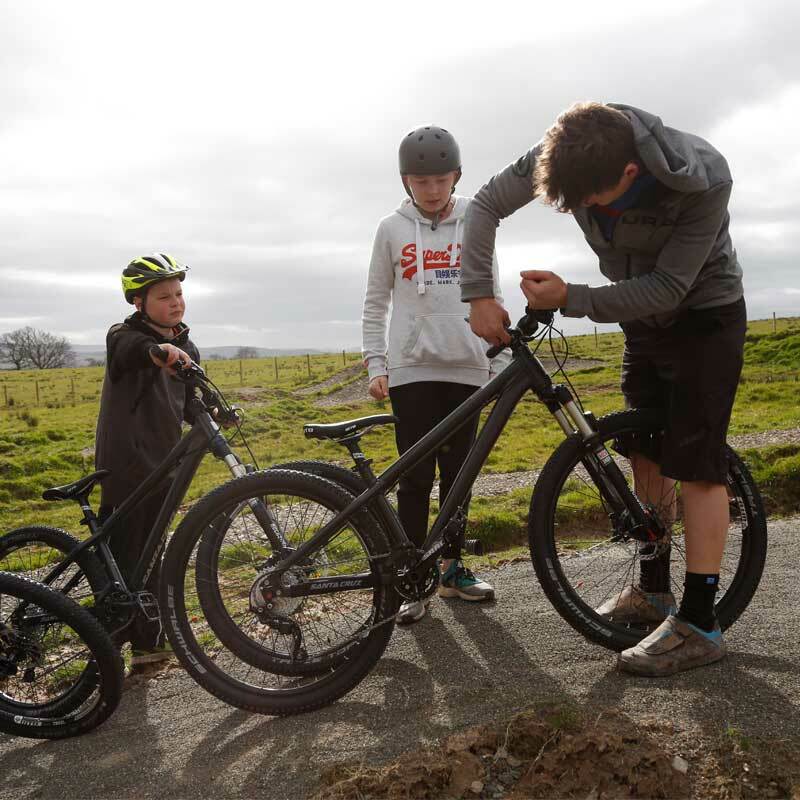 We want to help give your group a fantastic taste of mountain biking without the fear of disruption of other users who may not fully understand the challenges of your group. For that reason, you are given full and exclusive access to the site. 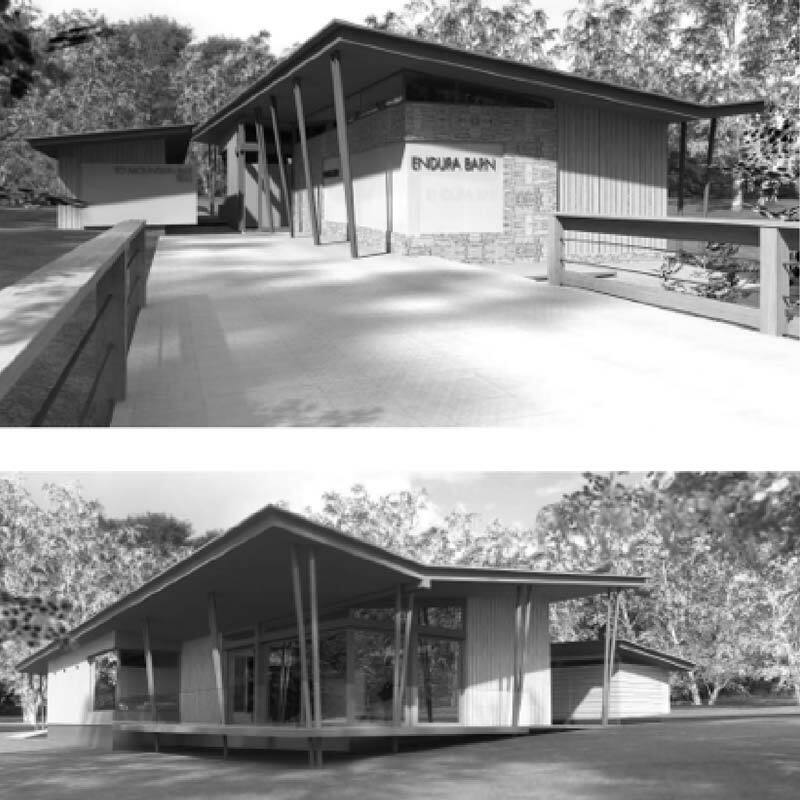 We want to create a place where visitors and their leaders feel safe and comfortable. 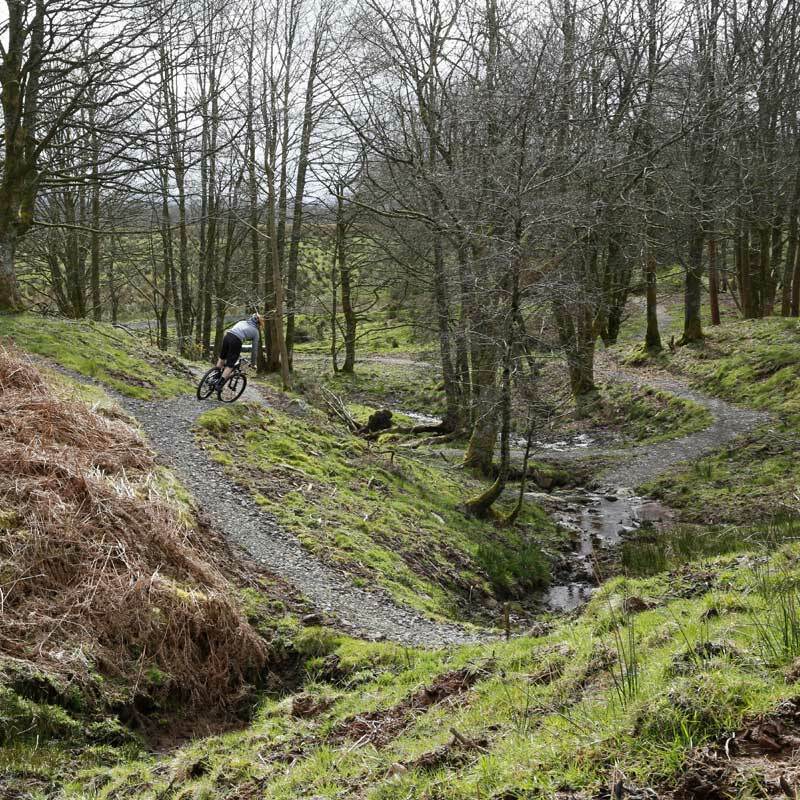 Our qualified team of Mountain Bike Leaders are also available by arrangement to help you plan activities and instruct you how to make the most of the venue. Priority is given to underprivileged groups (such as Additional Support Needs schools, community groups and groups that have confidence challenges). We are delighted to work with both kids and adults and enthusiastically welcome approaches from other responsible groups that are in line with the charity charter. We also work with Scout groups and other youth clubs. Groups can contact us to discuss how they might use the facilities safely. 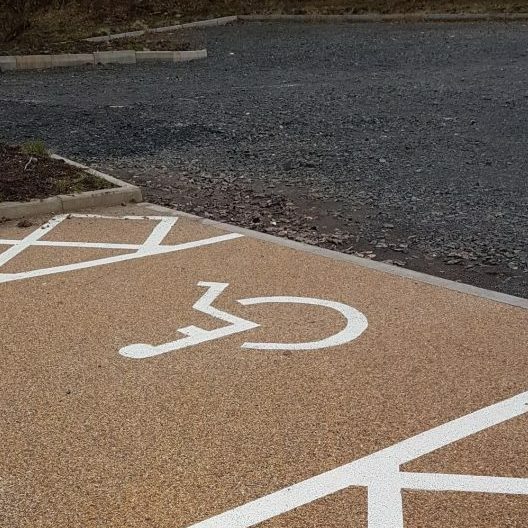 We can tailor access accordingly. Public Open Access: Open access sessions are for absolutely anyone. What’s more it is free and free parking is available on site. You’re also welcome to use the wash booth and picnic benches. It would be great however if you were to support the charity with a modest donation. All funds go directly back into trail maintenance and providing services to groups with particular additional support needs. Open access session dates and times vary to accommodate the needs of the charity groups we work with but generally public access is Friday, Saturday, Sunday and Monday. Please ensure that you bring your own mountain bike that is in good working order, appropriate clothing and a helmet! Why not register to get information about trail conditions and also news on upcoming events. As with any public access trail centre, any use of these facilities is unsupervised and at your own risk. Children need to be supervised at all times. This is a great way for families to spend quality time together and get fit in a safe environment. The trails are suitable for bike riders of age 8 years upwards who are reasonably confident but don’t necessarily have experience off-road yet. We would just ask that you take all your rubbish away and recycle it. We also believe strongly in facilitating access to biking for those most challenged in our community and getting them involved in cycling not only provides exhilaration but can be a fantastic catalyst for positive change.